Presenting some general information for followers returning for October’s Autumn Grand Service. The model Kanrodai is scheduled to be replaced this coming October 24. A “Commencement of Activities Ceremony” will be held on October 9. The Kanrodai was previously replaced in July 2000. 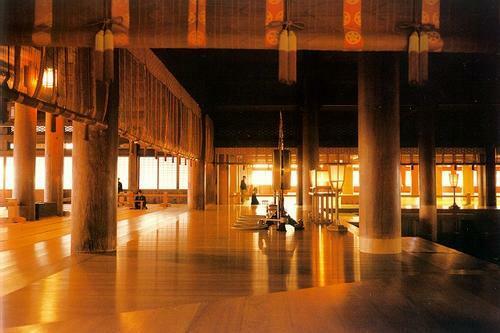 Commencement of Activities Ceremony: October 9 (Fri), 9:00 a.m.
Ceremony to Replace the Kanrodai: October 24 (Sat), 5:30 p.m.
*Evening service on October 24 will be held from 4:00 p.m. Either order directly at the curry lunch reception area of the Hinokishin Information Desk between 9 a.m. and noon or call intra-Church HQ numbers at 4561 or 4562. Pay cash at the Information Desk to receive a meal ticket. Tickets will be issued between 9 a.m. and 1 p.m.
Exchange the ticket for the packaged lunch at Dining Hall 6 between 11 a.m. and 1 p.m. 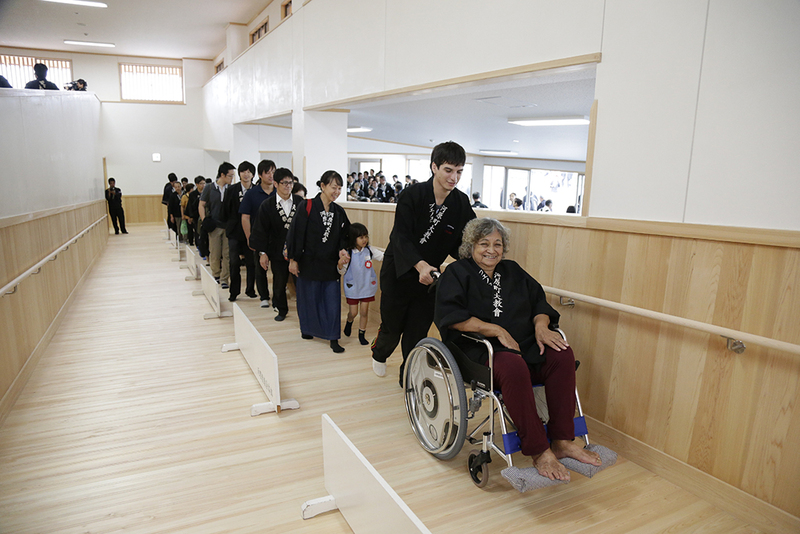 Among the preparations for next year’s 130th Anniversary of Oyasama (January 26), a universal access entrance to the Main Sanctuary was completed on September 24 to allow easier access for wheelchair users and senior citizens. Construction of the entrance building began on January 27. 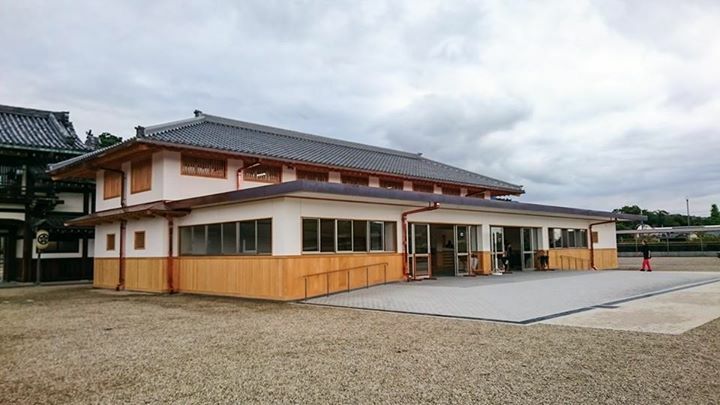 The universal access entrance building has a total floor area of 586 m and contains a winding ramp 40 m long with a gradual slope that leads from the ground floor to the corridor connecting the West Worship Hall and the Memorial Hall of Church Headquarters. The building contains five wheelchair accessible toilets and is equipped with motion sensors that lights a sign indicating someone is entering. The universal access entrance may be used on Service days and when many worshipers are expected. Igreja Central – Sao Paulo, Brazil – What Does a Tenrikyo Church Look Like?